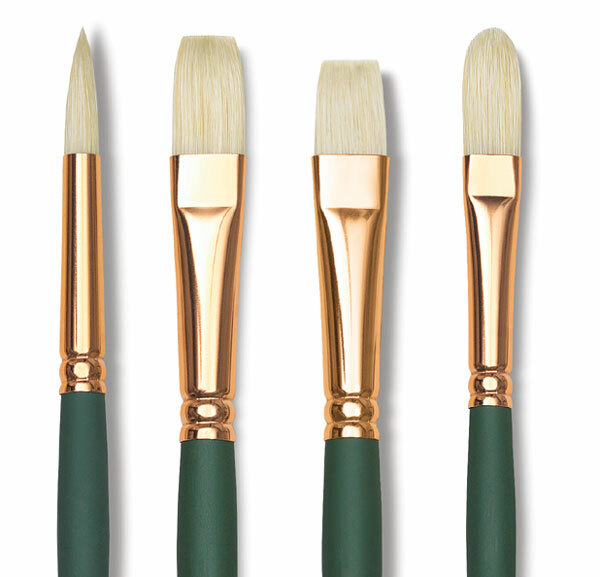 The Silver Brush Grand Prix Super Brush was made exclusively for Silver Brush by master brush makers. It contains 100% naturally curved white bristle with flagged and interlocked tips for maximum color carrying capability. For use with all techniques. 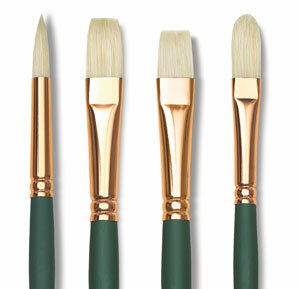 This brush is especially prized by portrait and figure painters for its sharp chisel edges. It offers fine control for detailed and broad strokes. It also holds more paint, so there is less reloading of color. ® Silver Brush is a registered trademark.® Grand Prix is a registered trademark.